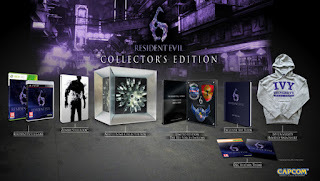 Capcom has today announced the Resident Evil 6 Collectors Edition. 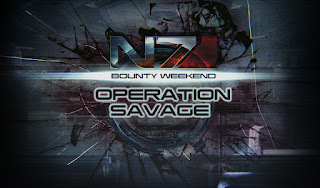 RE 6 will be released this October and those looking to get more than just the game has something to look forward to. Here's a breakdown of what you get with the CE. Resident Evil 6 gameZombie Steel BookExclusive RE 6 hardback artbook showing Concept ArtRE 6 Avatar DLC Code or Dynamic Theme (console based)Ivy University, Tall Oaks hooded sweatshirtThe RE6 Forces Emblems - High Quality enamelled zinc alloy emblems of the tree main protagonists squad insignia's, mounted on and set in a limited numbered frame authenticated with signature from Senior Producer Hiroyuki Kobayashi, Producer Yoshiaki Hirabayashi and RE6 Director Eiichiro Sasaki.Everything above comes bundled together in the lenticular "Needle Bomb' collectors box.Well there you have it, a collection the fans will really appreciate. There's no mention of how much it will cost so stay tuned for that update. Well another game has jumped aboard the delay train. Far Cry 3 which was scheduled to be released this September will now be released in December. Ubisoft has sited the need to create the best possible gameplay experience--which is the usually comment for every delayed game. They may say that but I wonder if this delay has to do with any feedback the may have received from their showing at E3 this year. In any case you can expect Far Cry 3 on December 4th in the US and November 29th in the UK. By now I'm sure we've all had the chance to play or experience one of Traveller's Tales Lego games. Even if you haven't, chances are that you know someone who has and they can tell you the fun to be had from these games. The latest installment, Lego Batman 2: DC Superheroes falls into the same categories as the previous installments but manages to bring something new to the Lego franchise. Lego Batman was an unbelievably good time and let you play as several well known characters from the Batman universe. Lego Batman 2 follows the same template with a few changes. For the first time, in any Lego game, the characters are fully voiced. Batman, Superman, Robin, Catwoman and all the characters have a voice this time around--even the lesser known characters. What also makes this Lego game so different is the inclusion of an open city to explore. Gotham City with all its back alleys and skyscrapers makes an appearance in its entirety. Last week Reggie Fils-Aime hosted the Nintendo direct show where he revealed several projects occurring within Nintendo and what we'll get to see over the next several months. The first thing he revealed was the 3DS XL which is, as the name implies, a bigger version to the 3DS. It packs two huge screens that are 90% bigger than its predecessors, comes with a 4gb SD card and will be released on August 19th. Throughout the show the went over several games including Kirby's Dream Collection, Pikman 2, the Nintendo eShop and much more. What came as a surprise was the announcement that Nintendo is partnering with Namco Bandai to create the next Super Smash Brothers. There's a lot more that Nintendo goes over so check out the video below. If you loved Okami back on the Playstation 2 then you're going to love it on the Playstation 3. 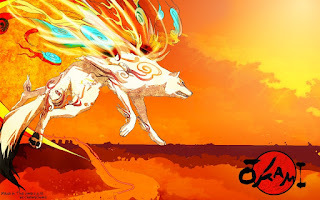 Capcom has announced that Okami HD will be coming to the Playstation Network this Fall for $19.99. This HD update will not only include a change to graphics but will also include move and trophy support. Well according to PEGI, the European rating board, a piece of DLC entitled The Scorchers maybe coming to the game. 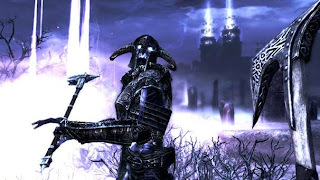 Of course this is just speculation right now as Bethesda and Id Software haven't confirmed anything. 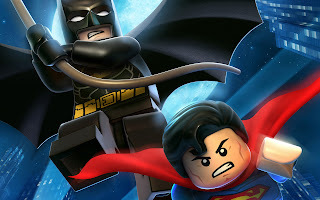 The LEGO Batman 2: DC Super Heroes demo has made its way to a console near your. Before buying the game, which was also released today, you can get your hand on Batman, Robin and several of his super hero pals as they try to stop the Joker and Lex from having their way with Gotham City. Tony Hawk's Pro Skater HD - 1200MSP - July 18thWreckateer - 800MSP - July 25thDeadlight -1200MSP - August 1stHybrid - 1200MSP - August 8thDust: An Elysian Tail - 1200MSP - August 15thAs always if you purchase all the games you'll be rewarded with 400 Microsoft points back. Well it seems like another game is getting delayed until 2013. 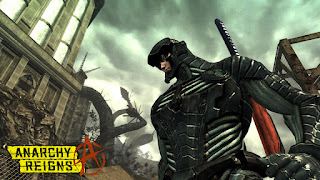 It was announced yesterday that Anarchy Reigns will not be releasing States side in July and will now be moving to Q1 of 2013. Well that's just great, there goes probably the only game I was going to get this summer. Although we'll have to wait, the game will still be released this July in Japan. 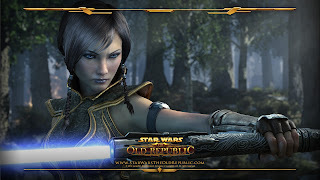 It would seem that BioWare is considering taking Star Wars: The Old Republic into the Free to Play realm. According to Emmanuel Lusinchi, Lead Designer at BioWare, the studio is investigating said possibilities and stated "We are looking at free-to-play, but I can't tell you in much detail. We have to be flexible and adapt to what is going on." It makes perfect sense for BioWare to consider this model for SWTOR. The F2P market is getting bigger and better; so if gamers are given the option of playing something both fun and free -- most likely they'll opt for that compared to a subscription based model. Personally I'd love for them to go F2P. It would give me the ability to play whenever without having to feel like I wasted money by not playing with the month. We'll have to wait and see what BioWare decides for the future SWTOR. An Exclusive 8" Kratos StatueA Premium Steelbook caseThe Official Game Soundtrack (digital version)PS3 Dynamic ThemePSN Avatar PackMultiplayer Double XP Unlock andA Pass for future DLC ContentYou can head over to Amazon.com to Pre-order your copy today. We roll into another week in video game releases; the PC front seems to have a great week ahead of it, with consoles having a few releases. Let's take a look at what's on tap for this week. Bethesda has reported that beta keys for the Skyrim Dawnguard expansion has started to trickle out to people who applied. Since there was so many who applied they have currently sent out keys to .005%, meaning there are a lot of people that will have to wait. 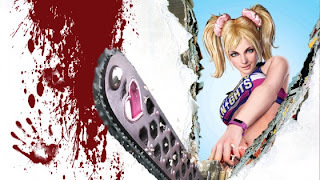 Currently the keys are for Xbox 360 users who will be receiving an email with a redemption code. Hankering for a game of tennis but don't want just a regular game. Well how about taking Mario and his friends for a spin. Lets see what the critics had to say about Mario Tennis Open for the 3DS. It's back to our regularly scheduled programming. Lets take a look at all the video game news that mattered for June 11, shall we. 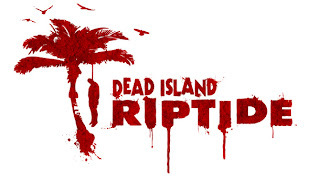 Half Life Remake still in developmentPersona 4 Arena Gets Pre-Order BonusCrimson Dragon DelayedMarvel Pinball: Avengers Out Next WeekMax Payne Hits Androids ThursdayBlizzard Readying to Ban Diablo III CheatersDead Island Sequel will Retail for $50Oddworld: Abe's Oddysee HD Remake Coming Next SummerLayoff Hit Silicon KnightsSuccess Rate of Most Game-Related KickstarterSlant Six Games Also Hit With LayoffsOno Apparently Overworked by CapcomBlack Ops II Headed to the WII UTHi4F To Be Better Than Deus Ex: HRFirst UE 4 Game to Ship in 2013Final Fantasy III Port Headed to PSPNew Tracks Coming to Dance Central 2Metal Gear Online Goes Offline TodaySledgehammer Working on Call of Duty GameThere you have it, all the news you need to know. Make sure to check back tomorrow for another round-up and more. 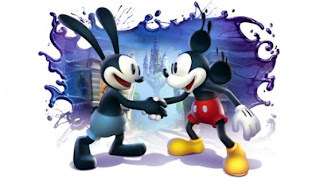 Those waiting to get their hands on Warren Spector's next game, Epic Mickey 2: The Power of Two will be happy to know that he game will be released on November 18th. 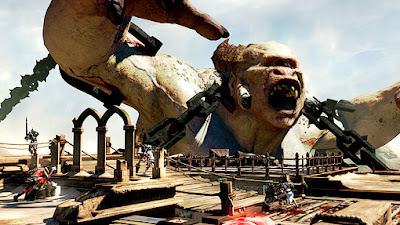 The game will be released on the Xbox 360, Playstation 3 and Wii. Another week another batch of games being released. We're coming into that period where not a lot of games are released. Lets take a look at what's on tap for this week. During the Microsoft Press Conference Microsoft announced Xbox SmartGlass, a new piece of tech that allows you to go deeper with your Xbox experience. Now when Microsoft made this announcement I had some reservation, still do, but I've come understand SmartGlass a little more. 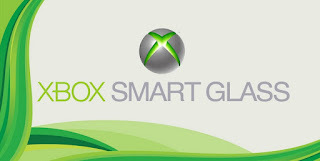 Lets start out with what is SmartGlass? SmartGlass is an app that you can download to your phone or tablet turning said device into a controller, additional screen, mouse or show companion depending on what you're doing at the time. The app will be available on Android, iOS and Windows devices. This is good because it means you don't have to buy any new hardware, additionally the app is free across each device. 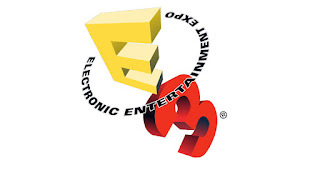 Going into the Microsoft E3 Press Conference I had some idea of what to expect but I was hoping that Microsoft would pull something out of its hat that would really blow me and the industry away. Well their conference was a hit and miss. Lets breakdown their conference shall we. The Microsoft Conference opened with the return of Master Chief and the first ever single player gameplay. The opening screen shows just how much of a bump in graphics this game has; Master Chief has never looked better and the same applies to Cortana. 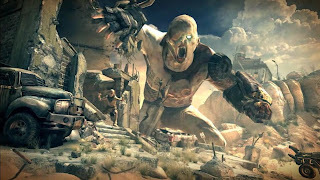 New enemies, news weapons and new gameplay elements are in store for gamers when Halo 4 is released later this years. The show them jumps into the world premiere of Splinter Cell: Blacklist bring back Sam Fisher who seems more brutal with his takedowns. 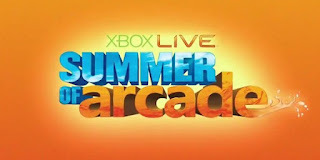 What was more impressive was the fact that the game incorporates Kinect to let you use specific voice commands. Yesterday, or today depending on your time-zone, Konami had its pre-E3 show. This show was a compliation of several of Konami's upcoming games--both announced and unannounced. The show started out with Konami talking about their new studio and then they detailed several of their upcoming games; the show culminated with the reveal of Castlevania: Lords of Shadow 2. You can watch the complete pre-E3 show HERE, at Konami's official site or you can watch it on GameTrailers.com and expect to see more at E3 next week.